In Bangladesh, the car scene has seen a significant increase in the imports of the Toyota GT86, and why not, the car is in my opinion, is the perfect sports car for Dhaka city. With more and more owners investing behind the FA20 motor, I thought it would be nice if I could make people aware of the plug and play tuner from Openflash Performance. If you have a completely stock FA20 motor or even one with aftermarket market upgrades such as headers, exhaust system, you would probably want to get it tuned for maximum performance. 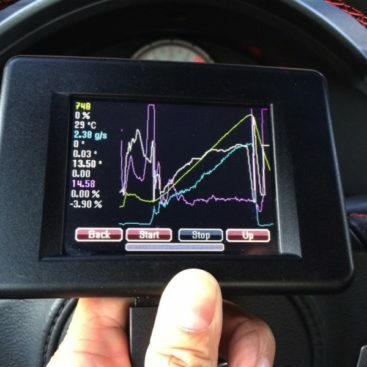 The OpenFlash stand alone tuner lets you do just that without going to the garage and getting it on the dyno. Its an easy to operate and time saving plug and play device to let you apply the tunes yourself. 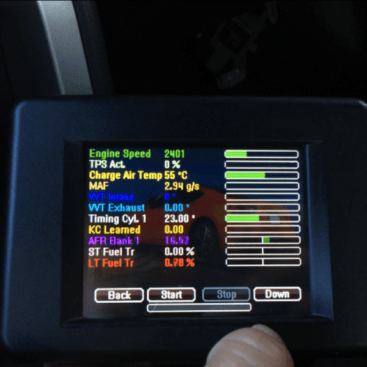 This interesting device is a touch screen tablet that you just plug into your OBD tube port, and begin the procedure to apply the tune you want, according to whats been done to your motor. You can even save your stock tune and have it applied again whenever you feel like it. Another plus point is that you don’t need a laptop. But this device is so much more than just a tuner, its got neat features such as real time data display, you can check the ECU fault codes, it also lets you completely disable your traction control and stability control, and it also has launch control.